Understanding yourself and others is an integral part of healthy spiritual growth. At St. Francis-in-the-Fields, we provide the opportunity for greater self-awareness and stronger relationships through the study of the Enneagram of Personality. The Enneagram is a contemporary spiritual tool with ancient roots that offers insight into one's personality and motivations, spiritual struggles and gifts, and style of relating to others. 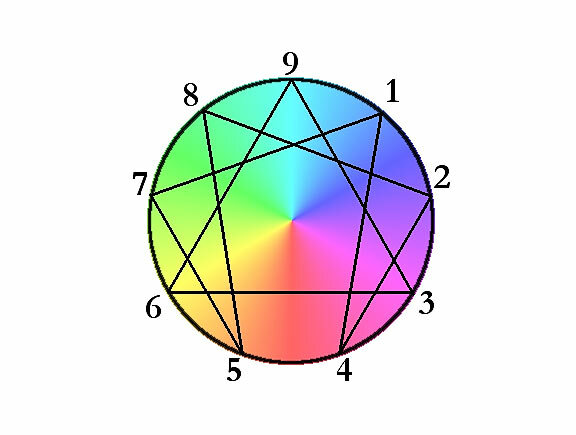 Visualized as a diagram consisting of nine, inter-related numbers, the Enneagram expresses nine essential ways that human beings interact with others and the world around them. Study and self-reflection through the Enneagram has proven to be enriching to couples, parents, and individuals. Introduction to the Enneagram - A basic introduction to the Enneagram is periodically offered at St. Francis using The Enneagram Journey, a 12-week, DVD-based study designed by renowned Enneagram teacher Suzanne Stabile. The class is led by Donna and Fr. Kevin Dellaria, and includes video lectures and group discussion. Enneagram Growth Groups – For those who have completed the introductory course, Enneagram Growth Groups provide an ongoing, monthly source for support and study. These guided, small-group conversations take place at designated times once per month for 90 minutes. Topics include both review of basic Enneagram material and new material for deeper Enneagram work. For more information about meeting times, please contact the parish office. The Enneagram Library – The parish library at St. Francis has a small but growing set of resources related to the Enneagram, with the intention of more being added. Enneagram Community of the Main Line – In late 2017, Donna and Fr. Kevin Dellaria established an organization with the purpose of fostering further studies of the Enneagram in eastern Chester County and greater southeastern Pennsylvania. Under the banner “Connecting with Compassion”, ECML aims to connect people with one another based on a deeper and more compassionate understanding of one another and the world. To connect with this organization, please visit the Facebook page under the same name.